BBC is partnering with the British Museum to produce a 100 part radio documentary series, A History of the World in 100 Objects. Launched on January 18, 2010, the BBC Radio 4 series features British Museum director Neil MacGregor introducing listeners to a new artifact from the museum in each 15 minute episode. BBC worked with Fallon London to promote the series with “Bull”, a promise of things to come. 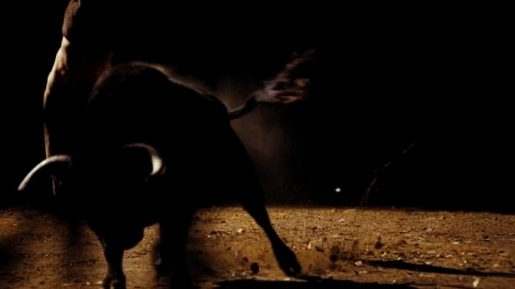 A bull fighter prepares to face a bull from the dark, with tension built in Velvet Underground’s 1966 experimental track, “Loop”. The Bull ad was developed at Fallon, London, by creative director Richard Flintham, creative directors Sam Walker and Joe De Souza and agency producer Mike Griffin. Filming was shot by director W.I.Z. via Red Bee Media, London, with producer Caroline Hicks, director of photography Dan Landin, and editor Tom Lindsay. Post production was done at The Mill, London. Audio post production was done at Grand Central Studios, London. Tagged: Dan Landin, Fallon, Fallon London, Grand Central, Joe De Souza, Red Bee Creative, Richard Flintham, Sam Walker, The Mill, Tom Lindsay, W.I.Z.